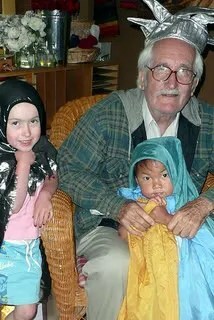 All last summer, Grandpa Bob lived with Pamela, one of his brother’s daughters, in Haley, Idaho. She runs a cool preschool in her home, where everything is miniature: a kid sized climbing wall, a tiny loft called the owl’s nest, and a miniature toilet in the bathroom. And a lot of little kids, of course. My mom said that they love him and I bet they do. I had so much fun with him as a kid. He knew so much and was always up for a project of any scope. When my family lived in Indiana, he moved into a small trailer in our driveway so he could be near us. I was homeschooling, so I could go out there whenever I wanted and talk to him. It was great. He was always writing letters on an old manual typewriter (He has written several letters a day since I’ve known him.) but he’d stop and tell me about Carl Jung or flying small planes across the country or all the butterflies that lived in the Ozarks. We started a butterfly collection. We built a workshop and designed and made wooden toys, and my first desk (which I still have—my mom’s been using it the last few years). We built a high jump pit and he taught me and Ely to high jump. 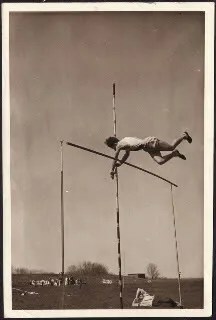 He had been a seriously competitive pole vaulter in high school. He told my mom about a conversation he had with some of the kids at the preschool, who said he walked too slow. “I walk slow because I’m old,” he said. (He’ll be 90 on January 28.) “No,” they said. “It’s because you take too small of steps!” Then they tried to teach him how to take bigger steps. This is funny to me, in a sad kind of way. Grandpa Bob was the fastest walker I ever knew. I practically had to run to keep up with him as a kid. He never seemed impatient, but he also didn’t want to waste time in transit. He liked doing the thing more than getting there. And he did so much in his life! 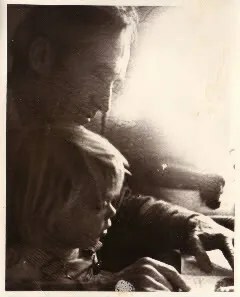 Last year I read a draft of the biography my uncle Don is writing about Grandpa Bob’s life and I was amazed and humbled. I don’t mean to put myself down in any way when I say this, I think it’s just accurate: The story of my life is just a footnote to the story of his life. It’s difficult to get across what I mean by that. I’ll give a few highlights here, off the top of my head, but it was really the scope and pace of it all that hit me. He was relentlessly adventurous and interested. He was an airline pilot in India during WWII. 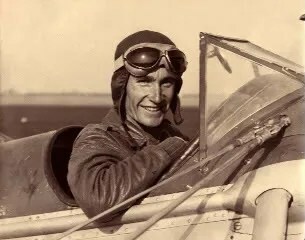 He trained glider pilots for D-Day. He built a house for his family. He taught classes on mythology and the Tarot. He hung out with Van Tassel and his UFO crowd out at Giant Rock. He is a really good ear-trained jazz pianist. 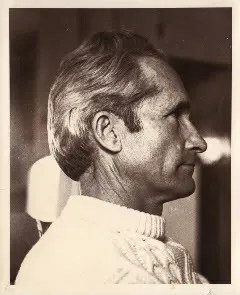 One day in the early 70s, he gave away all of his possessions, including his house, and traveled around the country for a year with a group whose idea was living like Jesus—never have more than your clothes and up to $5 in your pocket, and have faith that you are taken care of. He says it worked and he never felt afraid after that. He delved deeply into topic after topic. My mom remembers one time going to the library with him as a kid and he pointed out the section of books he had just finished—the entire philosophy section. For fun. One of the many topics he delved into was pianos. He learned to play, learned the history, toured piano factories, learned to tune pianos. He loves to tell the story of the two years he spent in Phoenix in the mid-70s: He sold his car, bought a scooter, and scooted around to all the piano stores during the day, tuning their pianos. He would end his day in a downtown store with a beautiful piano in its big front window, and, after it closed, he played into the night for the people passing by. For fun. That was one of his favorite times of his life. I didn’t get the whole story, though, until I read Uncle Don’s book. When he got to Phoenix, he convinced someone to let him pitch a tent in a space in their trailer park, and that’s where he lived the entire two years. The tent eventually rotted and blew away, and he just slept on the ground in his sleeping bag. He never even bought a stove. He just ate his food raw. 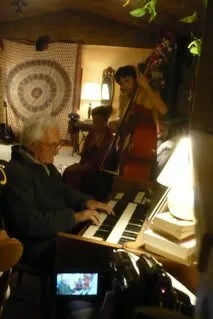 It’s such a poignant image for me—I cry, sometimes, thinking about it: Grandpa Bob, in his 50s, scooting with such energy and focus around Phoenix, tuning pianos and playing pianos and then falling asleep, under the stars, utterly content. This is what he was doing when he heard that Ely and I were going to homeschool. That was a pretty radical thing to do in the 70s, so he decided to see how it worked, and moved into a trailer in our driveway. Grandpa Bob is in good health. 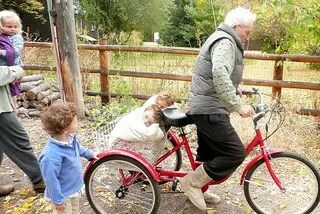 He loved biking all around Haley on his adult-sized tricycle. His mind is still quite sharp and he’s still interested in things. I spent time with him over Christmas break, showing him how to use gmail, wikipedia, and ancestry.com. And, he’s slowing down. He can’t see as well as he used to and he’s a little dizzy all the time, so he’s fallen down a couple of times. I know he’s going to die one of these days. It might be ten years or so, but that doesn’t seem like very long anymore. I feel sad thinking about him dying. I feel sad thinking about him being old and no longer tearing around the country on one adventure after another. When I’m around him, though, I don’t feel sad. He’s kind of softened in his slowness. He seems to be enjoying the simple things more—family, food, stories. Maybe even transit, if it’s on a tricycle. He’s less interested in figuring things out, too. I asked him what he thought of some new theory and he said, “Well, I’ve decided to leave figuring stuff out to the young people.” There’s something in that for me. I’m like he was at my age. I like figuring things out. I’m compelled to. And there he is, relaxed and pleased, at the end of his life, having figured out that it doesn’t really matter if he figures out a few more things. Thank you for writing this. I teared up. Grandpa Bob may never know how much he has touched my life, but he has. Growing up with him; hanging out in our kitchen, always willing to listen, always willing to share his story, and so much more. He is one of the highlights of my childhood. From him I learned to live life to the fullest. I feel so insignificant compared to him but will always live with the knowledge of how amazing and rewarding it can be thanks to Grandpa Bob. 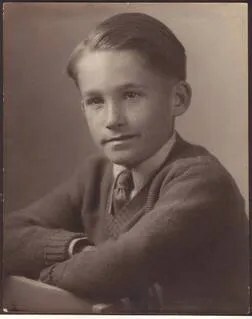 He always told me to call him that, and since I never really knew my grandparents, I appreciated how he seemed to adopt any kids around him. All that to say, thank you for bringing up all the fond memories and sharing it with the world. I can’t wait to read the book of his life!